Add wireless capability to your laptop or desktop computer with the Mini-USB Bluetooth 4.0 Class 1 EDR Adapter from StarTech. 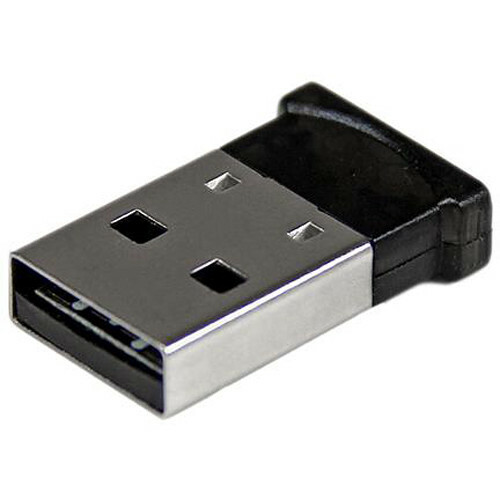 This USB Bluetooth adapter offers data transfer up to 3 Mb/s, with support for transfer distance up to 165' range. At 0.9", this adapter is compact and unobtrusive when connected to your laptop. In addition, this adapter is backward compatible with previous Bluetooth standards to ensure connectivity with your compatible devices. Box Dimensions (LxWxH) 7.0 x 5.8 x 1.15"